Product prices and availability are accurate as of 2019-04-11 14:34:54 EDT and are subject to change. Any price and availability information displayed on http://www.amazon.com/ at the time of purchase will apply to the purchase of this product. 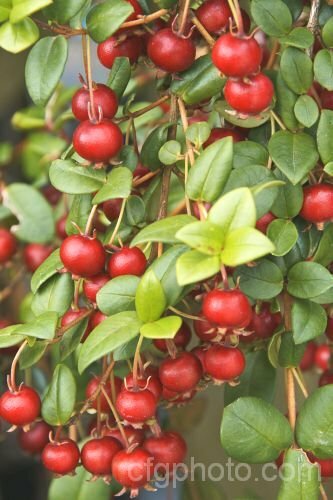 Ugni Molinae "Chilean Cranberry Bush" or "Chilean Guava"- Very Rare! The only shrub species common in cultivation is the Chilean guava or New Zealand cranberry (Ugni molinae), from Chile and western Argentina. It is an evergreen shrub with small, rounded, dark green aromatic leaves. Pink tinted cream flowers with a honey scent open in spring and are followed by aromatic red fruits that are edible, though simply sweet.